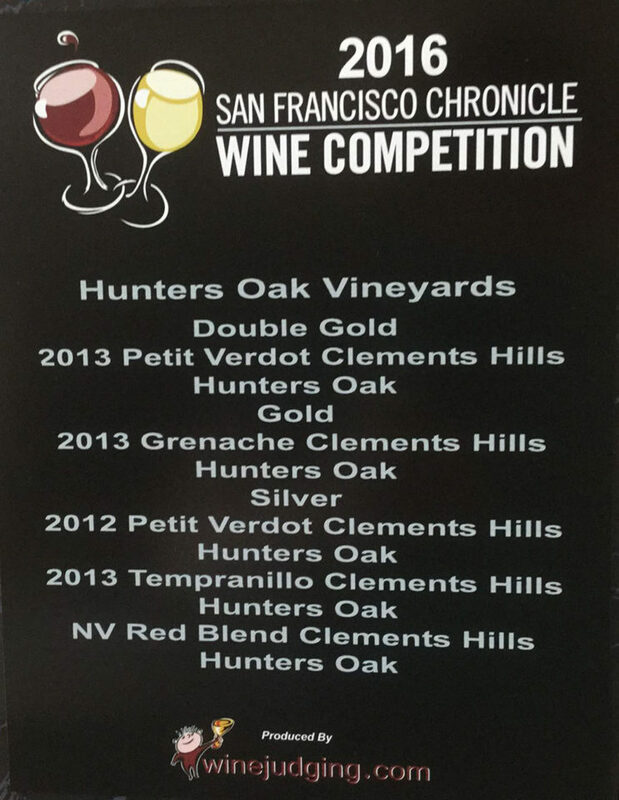 Hunters Oak wins big at the 2016 San Francisco Chronicle Wine Competition! We are so excited to announce that Hunters Oak Vineyards was well received at the 2016 San Francisco Chronicle Wine Competition! We received a DOUBLE-GOLD for our 2013 Petit Verdot; GOLD for our 2013 Grenache; and SILVER for our 2012 Petit Verdot and our 2013 Tempranillo.